The Chesley Main Street Bridge will see a temporary full closure in order to complete the reconstruction of the bridge. 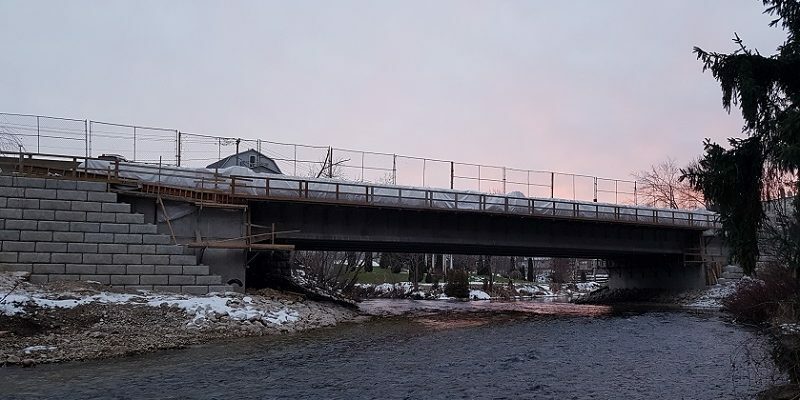 Bruce County originally thought that it may not need a full closure to complete the project, but it has now been determined that on Tuesday, April 23, the bridge will be fully closed until the project is complete in mid-June. A detour will be posted until the work is complete, and the Department of Transportation and Environmental Services of Bruce County are apologizing for the inconvenience. You can get more information from the department at 519-881-2400 or transportationinfo@brucecounty.on.ca.